It’s that colourful time of year again, when the Gauteng cities of Pretoria and Johannesburg turn a wonderful shade of purple. During October the Jacaranda tree becomes a staple of Instagram attention, but do you know the history behind this tree? 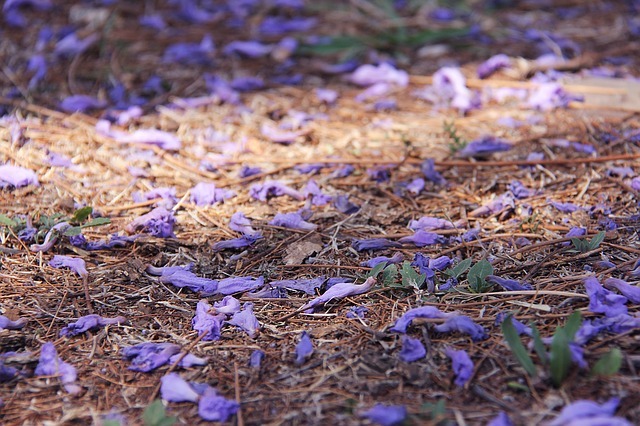 Rothe Plantscapers have put together a few fun facts about our beloved Jacaranda tree. The Jacaranda tree is actually classified as an invasive exotic plant and are prohibited from propagation and planting by law. So no, they are not actually meant to be here. So how did they get here? Jacarandas are originally indigenous to South America, but their history in South Africa can be traced back to as early as 1880, when they were imported from Argentina and later Brazil. There are a few tales about their origin. Before the discovery of gold on the Witwatersrand in 1886, there were several farmers already in the area. These farmers brought with them seeds from the Cape and planted oak, walnut and our jacaranda trees. Tree entrepreneur William Nelson, who’s business was known as Nelsonia Nurseries, apparently planted around 106 kilometres of trees along the streets of the then newly established suburb of Kensington. The task took around six months to complete, which is a feat in itself. It’s believed to be the first time in South Africa that street trees were planted on such a large scale. It is also believed that In the 1880’s two jacaranda trees were originally planted in the garden of Myrtle lodge owned by a Mr JD Cilliers, but today is known as the Sunnyside School in Arcadia. There is even a plaque which has been created to commemorate this occasion. 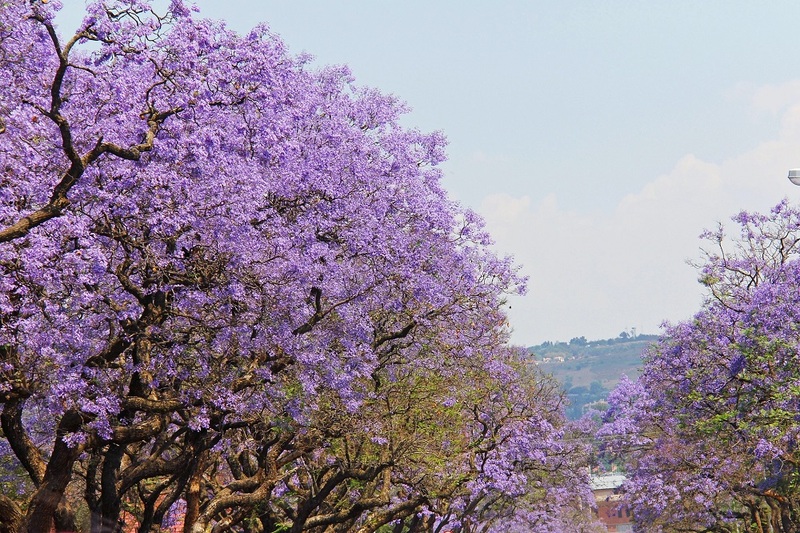 With almost 16% of urban tree’s in Pretoria thought to be Jacaranda’s(around 65 000 individual trees), it is safe to say that although they may not have originated in Africa, they sure did thrive here. 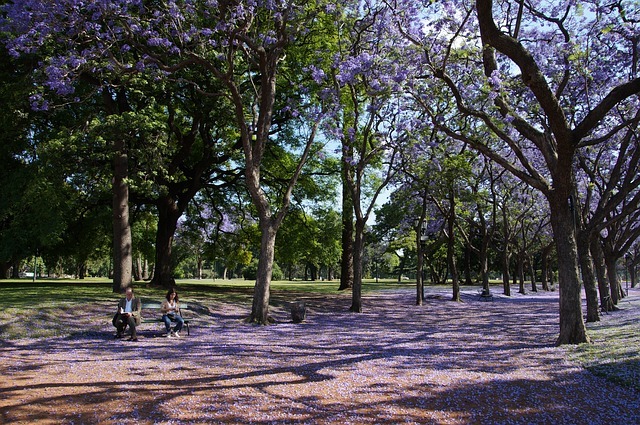 Which City has more Jacaranda Trees? Johannesburg may enjoy a purple cover second to only one, Pretoria. 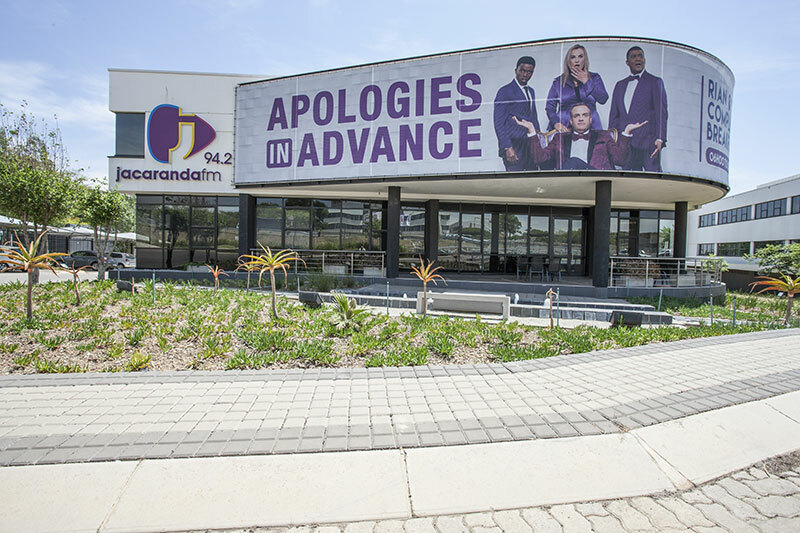 The colour purple and the name Jacaranda have become synonymous with many brands in the city of Pretoria and its ideal growing conditions for many plant and flowers have really aided in its take-over of the city of Tshwane. The good is apparently the tree serves a great purpose in aiding with the effect of car emissions (for more info on that click here), the bad is that when they drop their flowers towards the end of the seasons in mass, the roads tend to turn into a slippery gold mine for motor insurance companies. So be careful out there and drive with caution, Jacarandas tend to make the road incredibly slippery whilst you are ogling the sites these incredible trees create. In Groenkloofs Herbert Baker (The man responsible for the Union Buildings design) Street there are almost 100 white Jacaranda trees which were imported by a local Pretoria resident. As we previously stated, the Jacaranda tree is lucky to have a life span of over 200 years. So we are going to be able to enjoy their purple haze for a while more. We’d like to encourage everyone to take their favourite image of their Jacaranda laden street or vista and tag us #RothePlantscapers on Instagram. The management of Rothe Plantscapers is committed to the health and safety of all its employees and clients and considers that in all circumstances.